In any surgical facility, the people behind the scenes are the single most important factor in providing safe perioperative care. 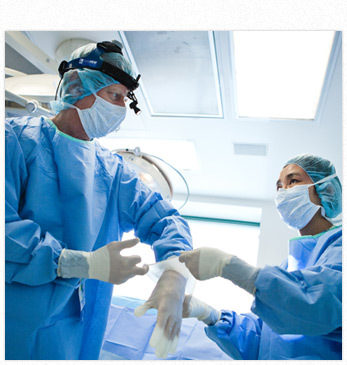 The most critical service in any surgical facility is Anesthesiology. In that regard, VPSC has been very fortunate throughout its history in having a small number of Anesthesiologists committed to the facility. At this time our full time Anesthesiologist is Dr. Jamie Renwick who is present for all surgical procedures. Dr. Renwick has an extensive clinical and academic background. He received his MD degree in 1982 and in 1989 completed 5 years of specialty training in Anesthesiology at the University of British Columbia. He is a Fellow of the Royal College of Physicians and Surgeons of Canada and has an appointment as a clinical Associate Professor in the UBC Department of Anesthesiology, Pharmacology and Therapeutics. Dr. Renwick is active in medical education where is he recognized as an expert in the field of Advanced Cardiac Life Support (ACLS). The nursing staff at VPSC are a hand-picked group, all of whom come from extensive backgrounds in hospital based Plastic and Reconstructive Surgery. These nurses are considered to be some of the top practitioners in their profession and the Vancouver Plastic Surgery Center is proud to have them as part of our team. Only Plastic Surgeons certified by the Royal College of Physicians and Surgeons of Canada are granted privileges to work at VPSC. There are currently 3 Plastic Surgeons: Dr. Richard J. Warren, Dr. Peter A. Lennox, and Dr. Sheina Macadam. These surgeons are all on staff at the Vancouver General Hospital and UBC hospital, and they are members of the Faculty of Medicine at the University of British Columbia. 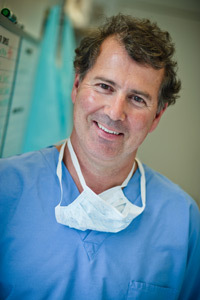 Dr. Warren is the founder, Medical Director and principal surgeon at the Vancouver Plastic Surgery Center. He is currently chairman of the Royal College Committee on Plastic Surgery – the body which oversees the specialty of plastic surgery in Canada.